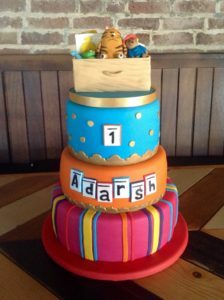 This weekend I made a very special birthday cake for a little boy celebrating his first birthday. His mum had designed some beautiful party invites in rich, Bollywood style colours, and wanted these to be used on the cake as well. She also asked if I could model some of her son’s favourite toys, and sit them in a little hamper, to look like his toy basket at home. One toy in particular, Cassie the Cat, was very important to him, as it had been given to him when he was very poorly. Therefore, Cassie got to sit in the middle, in charge of all the other toys. 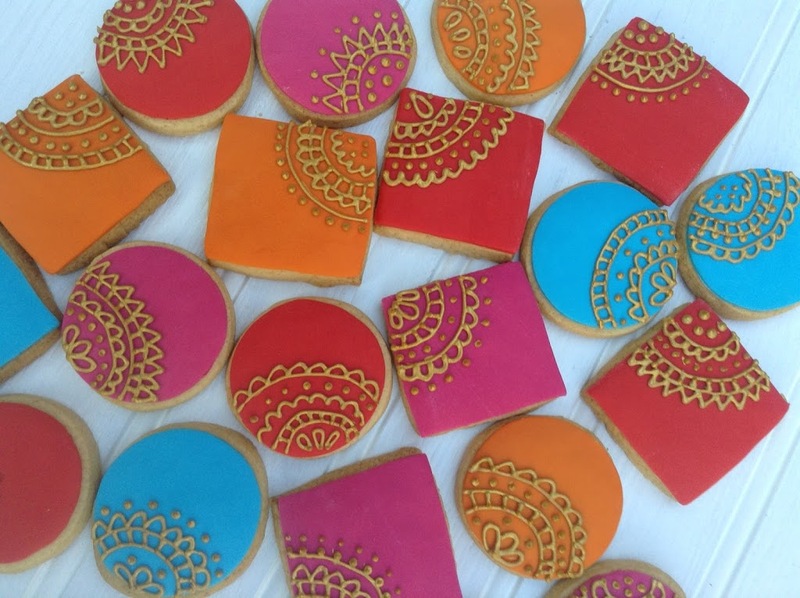 I also made some iced cookies to match the cake, using the same lovely colours, and some piped royal icing patterns, painted gold.